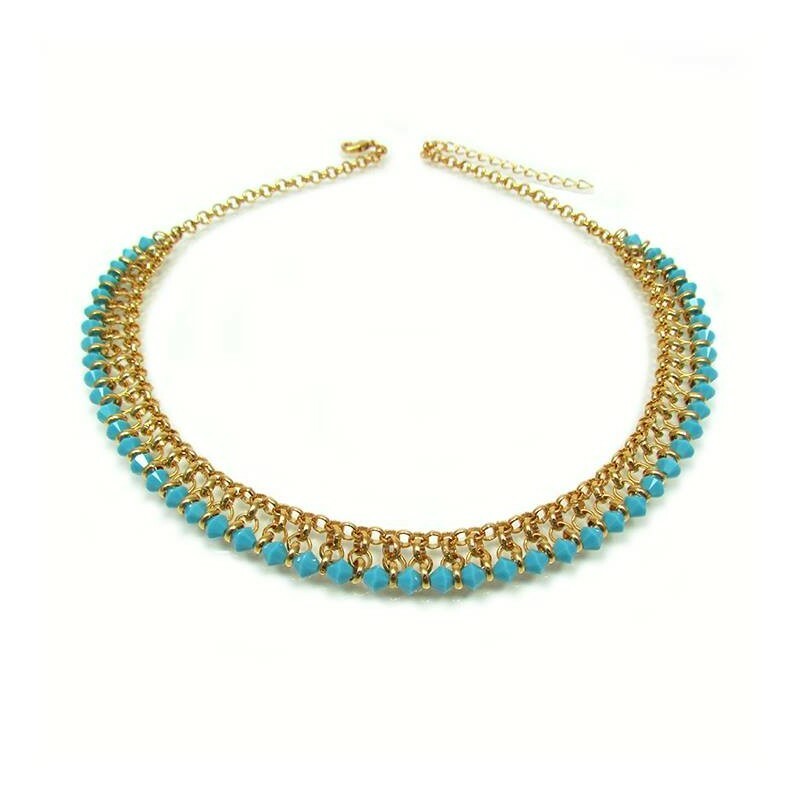 Turquoise statement necklace, glamorous and sophisticate gold and turquoise statement necklace, Egyptian style, suitable for mother of the bride or special occasions. 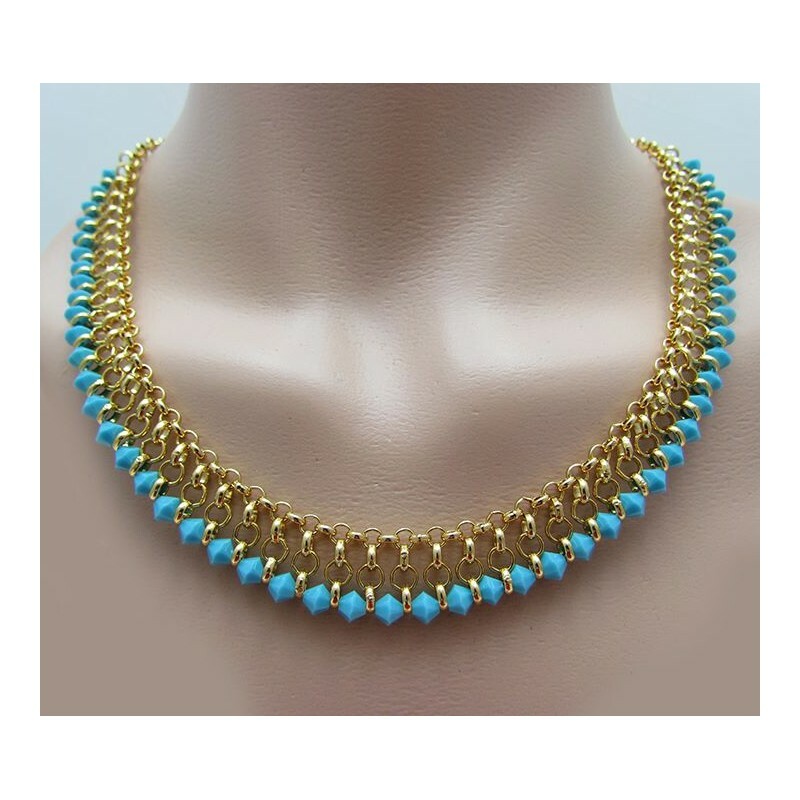 This unique design is made of genuine swarovski turquoise crystals and 24 KT gold plated. Turquoise statement necklace Length: 18" / 45 cm approx. The turquoise statement necklace, is part of my turquoise jewelry collection, that was inspired in sophistication and elegance. All of my jewelry is made with a lot of love and special care in each detail.